Did you know that one in four working people are currently self-employed in Australia? 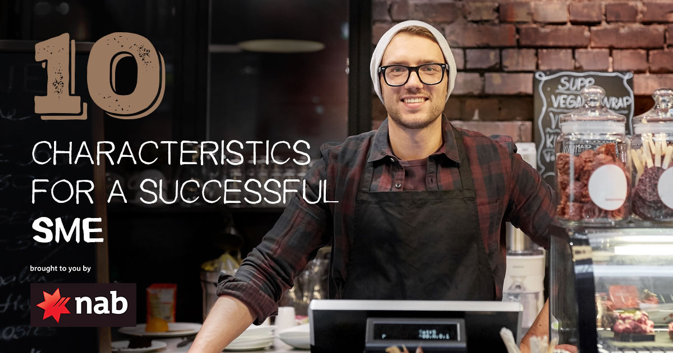 The future looks bright for Australia’s SMEs according to a NAB whitepaper which spotlights the key traits for success. 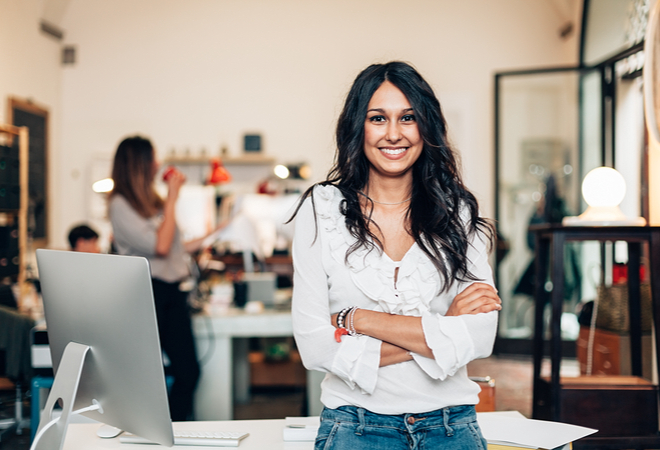 Australia’s SMEs are urged not to ignore the power of hard work and resilience when it comes to growing their business. According to the NAB report, Moments That Matter: Understanding Australian Small to Medium Business which surveyed over 800 businesses around the country, passion, purpose and persistence are at the heart of SME success. Being prepared to work hard, having a genuine sense of passion and being good at dealing with difficult customers top the list of prerequisites for SMEs. 57 per cent of those surveyed suggest you need to be prepared to “work really hard” if you want to succeed. With the majority of Australia’s small business owners already clocking up more work hours than the weekly average – it seems SMEs not only talk the talk, they walk it too. Interestingly whilst those surveyed were quick to identify the key traits of a successful business owner, the majority believed they did not have these traits. Nonetheless, this did not assuage them from having confidence in their business venture. An overwhelming 80 per cent said they feel optimistic about their business; with 45 per cent expecting to expand their SME in the next three years. In the age of disruption, agility has also become highly prized in the business world. While large organisations can struggle with the ability to change and adapt quickly, the SME sector has revealed itself to be distinctly adept at being agile business operators. According to the NAB report, SMEs are in a constant state of change. The majority (75%) of SMEs have changed the nature of their business since they were first established, and 1 in 4 (26%) of these have changed the nature of their business ‘a lot’ or are constantly changing since they opened their doors. Being willing to fail was also seen as a key motivator for growth with only 11 percent of SME’s being risk adverse. Entrepreneurship is also on the rise, particularly amongst millennials. Kwanghui Lim, Associate Professor of Strategic Management, Melbourne Business School said the idea of a lifelong career in a corporate was no longer the end-game for most millennials. According to Lim, an aspirational shift has occurred. “When I first started teaching MBA students at the Melbourne Business School 10 years ago hardly anyone was interested in starting their own business; they all wanted to work for the big corporations and climb the corporate ladder. The world has changed considerably over that time. That aspiration is still there – particularly for those at the very beginning of their career – but now an entrepreneurial career path has also become a legitimate option,” Lim said. Indeed, millennials are driving significant change across SME as they strive to bring values of diversity, inclusion and agility to the workplace. Innovation appears to be a default setting in the millennial SME mindset: many (83%) say that innovation is important to their business (compared to 69% of everyone else) and as natives of the digital age, digital isn’t just a channel for millennial SMEs it’s the main driver of their business. 71 per cent of millennial SMEs believe the internet has impacted their business compared with 51 percent of their Gen X and Gen Y counterparts and one-third of millennial SME revenue is derived from online channels. A customer-centric approach is also essential if you are keen for your SME to succeed. 43 per cent of SMEs agree with the old adage that the ‘customer is always right’. 34 per cent rank customer satisfaction as important and being able to turn a negative customer experience into a positive one is key. Above all, the NAB report has shown there are more factors to running a successful SME than financial success. Does your small business have not-so-small ambitions? NAB is committed to lending $2 billion to business every month, helping small businesses to flourish.